As far as I know, all the Romance languages have what we call synthetic conjugation for verbs in the future. I mean, in English you just need to say “I’ll share it”. You know, you just need to use “will” to indicate “future tense” and the verb “to share” remains in the present tense. 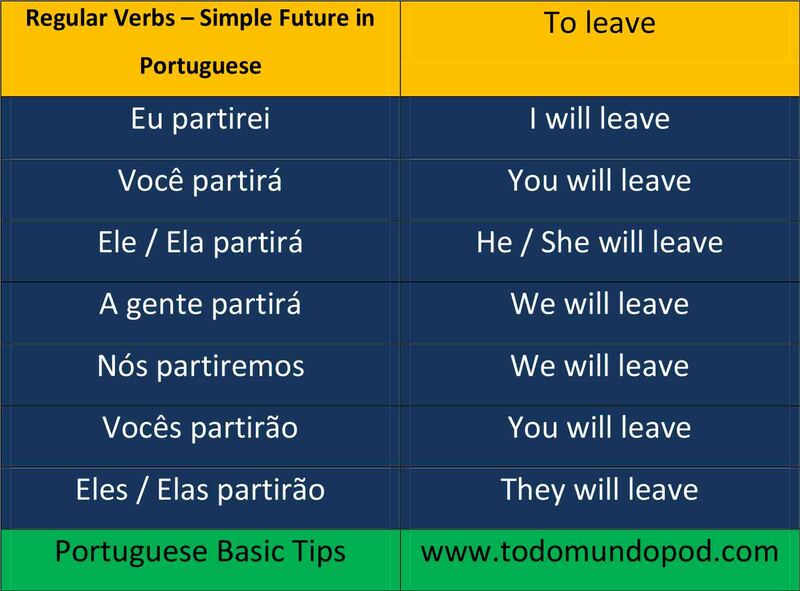 In Portuguese, for instance, you would say “eu compartilharei” – this way, the verb “compartilhar” goes to the future tense – it travels to the future. I’m not using any auxiliary verb to do that. We also have a way to do the same as we do in English, only by using the auxiliary verb “ir”, but we’ll talk about it later on. 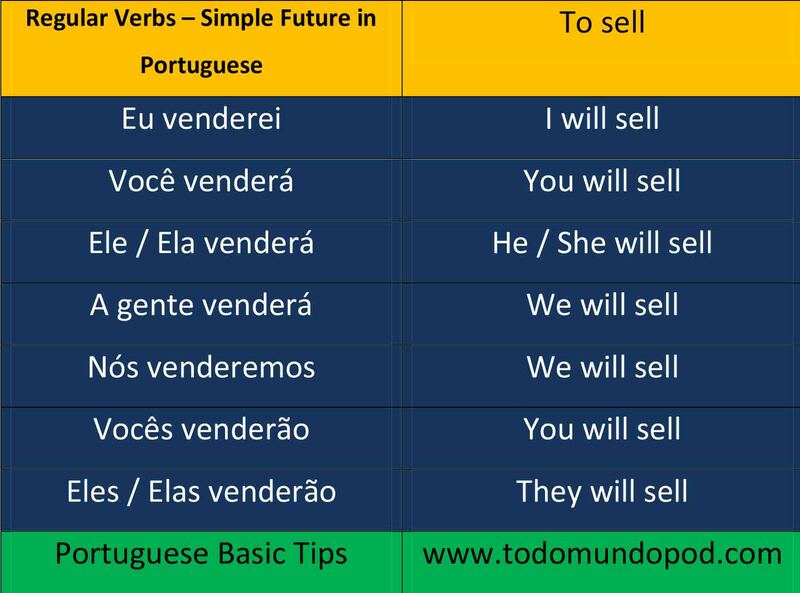 Let’s start conjugating regular verbs in futuro do presente sintético. As I said here before, if we learn how to combine regular verbs ending in “ar”, “er” and “ir”, we’ll have a model on how to combine all the other regular verbs in this language. 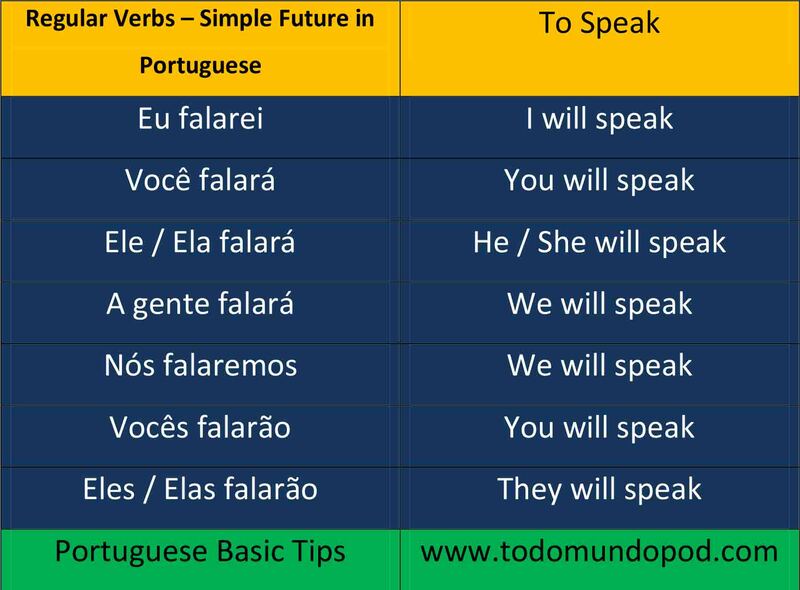 In the upcoming episodes we will continue speaking about future tense in Portuguese. Keep in touch! This link leads to a site (only in Portuguese) that talks about the tenses of the indicative mood in Portuguese. 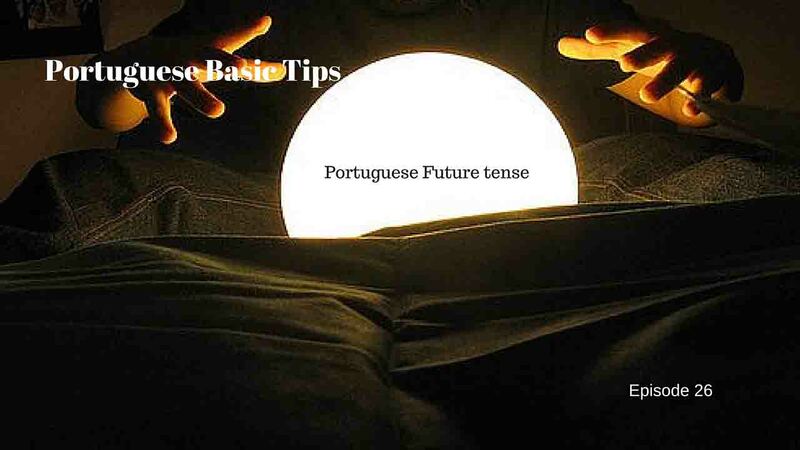 In our last two episodes we spoke about past imperfect tense and frequent mistakes in Portuguese. I hope it will be useful to you.